I recently had a pre-school patient be very anxious about getting an EKG. Simply explaining what an EKG is wasn’t enough for this concrete thinker, so we did some medical play! 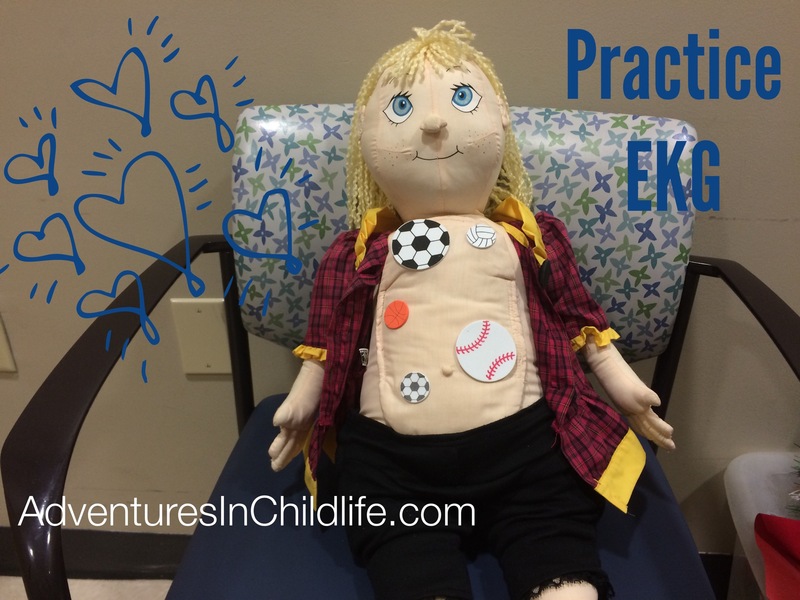 I brought in my teaching doll, Eliza, and we practiced putting foam shapes on Eliza’s chest. He got to place the stickers and remove them afterwards. We also made sure to tell Eliza the rule about laying still like a statue so the computer can make sure the stickers are on right & listen to his heart! Then, we put some stickers on ourselves & practiced laying still like a statue. Once I saw that he was more comfortable with the stickers and holding still, I showed him the silly stickers the nurse was going to use & assured him that they we just little sticky stickers like my foam shapes. During the EKG I stuck around and reminded the patient to lay still like a statue just like Eliza & told him what a great job he was doing. The EKG was a success & my little guy did great!